Pressing the Issue by award-winning author Daryl Wood Gerber is available for pre-order now! 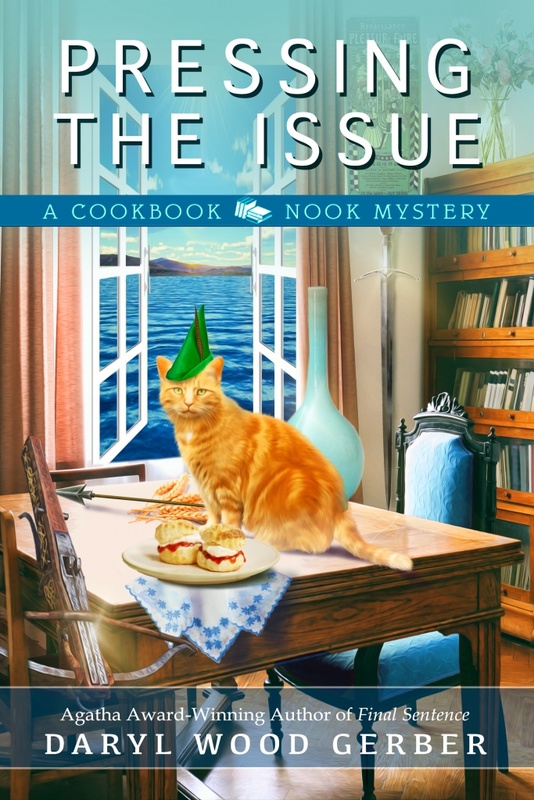 The Agatha Award–winning author of Grilling the Subject returns to the Cookbook Nook in Crystal Cove, where the annual Renaissance Fair serves up a helping of crafty courtiers, damsels in distress, and medieval murder . . .
Agatha Award–winning and nationally bestselling author Daryl Wood Gerber is the author of the Cookbook Nook Mysteries, the French Bistro Mysteries, the Cheese Shop Mysteries (as Avery Aames), and stand-alone suspense thrillers. Little known facts about Daryl are that she’s jumped out of a perfectly good airplane, has hitchhiked around Ireland by herself, and has appeared on an episode of Murder, She Wrote. She loves to read, cook, and golf, and has a frisky Goldendoodle named Sparky who keeps her in line!